Yesterday (Jan 17th, 2018) I lead a TTT (Teachers Teaching Teachers) for staff, from PreK-12, on iPad Tools for Creative Teaching and Learning. The purpose of the TTT was to introduce teachers to three apps that are now available on our (brand new!) iPad Pro 2 class set in the library. The apps will soon be available for Elementary classes which is why teachers from across the school were invited to attend (and are encouraged to continue reading if you happen to be an Elementary teacher!). The apps covered in yesterday’s TTT were Explain Everything, Stick Around and Apple Clips. Here is an example of an Explain Everything video created by on of my Grade 7 Science students from Caulfield Grammar School: Scout Squire. The second app we looked at was Stick Around. 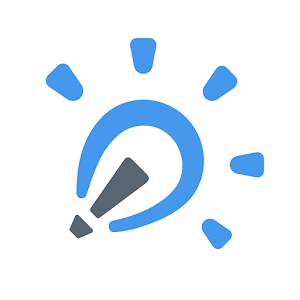 Stick Around allows users to create puzzles using drawing tools and/or photos and add stickers with text, images, sound, arrows and/or drawing. Teachers could create puzzles for students (great for formative and timely feedback) or alternatively, students can create puzzles to communicate their understanding and share with their peers. 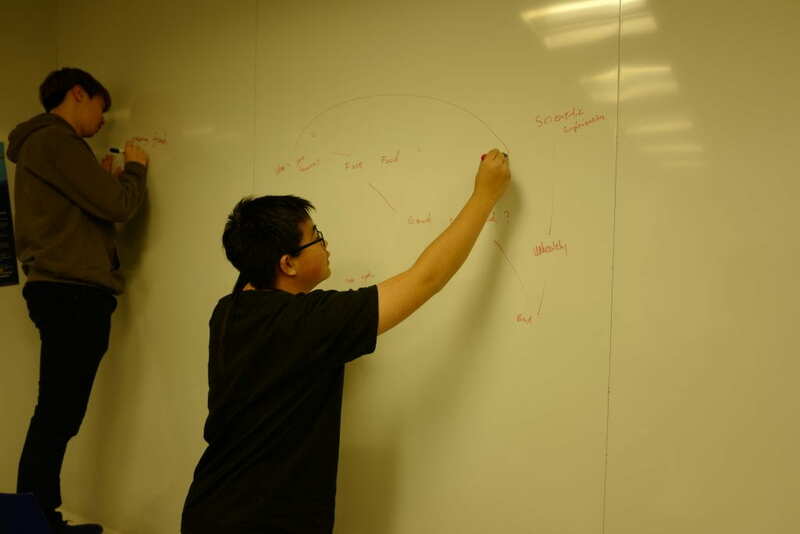 Ideally, if students were creating the puzzle, you’d have a range of topics, so that on completion, all students can benefit from the creations. I’ve managed to set up a folder on the server which will store all Stick Arounds created. This allows them to be downloaded, once published and shared by the creator, by anyone with the Stick Around app. The only downside that I’ve picked up on, is that the puzzles can only be viewed (and played) through the Stick Around app. The files can be shared without a problem, but opening the puzzle is limited. The following video is an example of what a puzzle looks like to play. Create the stickers – these can consists of images, video, weblink and even audio which is great for the littlies. Publish and share the puzzle! There are some fantastic resources out there to support this product. This is a thorough user guide and see this URL for a range of really great tutorial videos. I love this app! Live titles – to create these, a voice to text option is available of which I’m impressed with it’s accuracy. Here is an example of a short movie I made using Apple Clips. 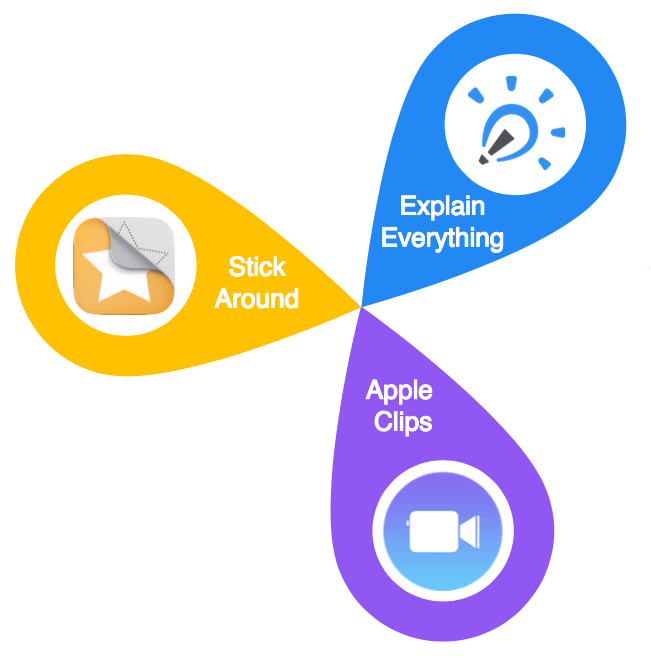 As you can see, Explain Everything, Stick Around and Apple Clips are some pretty awesome ways to create and share authentic learning. Although you may not feel completely comfortable in using an iPad in your classroom, Ed Tech is here to provide you the necessary support to take up learning opportunities, like these, for your students. Please send me an email if you’d like to chat further, or even better, if you’re keen to start using one of these apps. The immersive nature of virtual reality brings depth to educational content by engaging the senses and allowing exploration to a degree that would be difficult to duplicate within the confines of a classroom, making it an ideal catalyst for curiosity and true learning. So what is VR and how does it work? On Thursday 16th of November, I ran a TTT on virtual and augmented reality. We started by engaging teachers in a Google Expedition of the Great Barrier Reef. Google Expeditions is a virtual reality teaching tool that lets you lead or join immersive virtual trips all over the world — get up close with historical landmarks, dive underwater with sharks, even visit outer space! There are currently over 700 expeditions available free for use. I have since found this incredible resource which documents details of all currently available expeditions. It is updated regularly and includes links to lesson plans created by teachers around the world. For those of you interested in running an Expedition in your class, browse this resource and then touch base with me about the expedition you are looking to run. Alternatively, provide me with a brief outline of your unit and I’ll do the research for you. We have 20 VR headsets for use – students will need to use their own phone with Google Expeditions app installed. 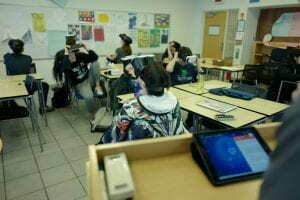 Last week I assisted Brian Germain in running two expeditions in his High School Psychology class. The theme was the nervous system so we began with a VR tour of the brain stem, limbic system, cerebrum and cerebellum, a neutron and synaptic transmission. What I enjoyed most, was the second expedition, to Everest, where Brian asked students a series of thought provoking questions, which has them thinking about the science they’d just explored. e.g. standing in the cold at base camp, what part of the brain is responsible for…? What a great way to make content meaningful. There are so many great VR apps out there – Discovery VR, Sites in VR, New York Times VR and YouTube 360 just to name a few. There are also some excellent iOS apps for VR purposes. During the TTT we also spent some time looking at augmented reality (AR). AR is the layering of virtual information over the physical world, or reality, using software and devices. Take a look at this Ikea Concept Kitchen to see AR in action! One of the most impressive educational apps I came across when looking for AR content was Quiver Education. 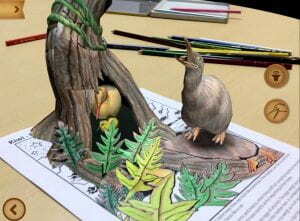 Essentially, students are provided with one of the colouring in sheets and then, using the app, bring their work to life. 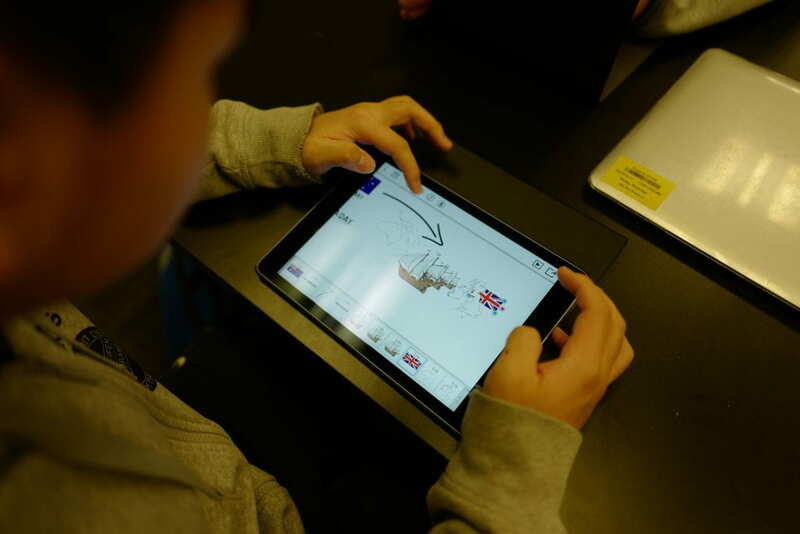 The Quiver app is free, however, the Quiver Education app (which is now available on the MS/HS Library iPads) does cost. 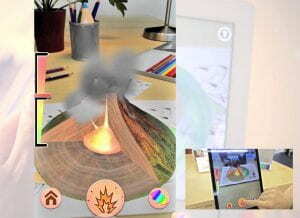 Quiver Education provides the same magical augmented reality coloring experience, but with a greater focus on educational content than the awesome Quiver App. During the TTT, teachers attempted an AR quiz using a plant cell, explored the habitat of the Kiwi bird though sound and watched as a volcano erupted in front of their eyes! If you are interested in introducing some AR or VR material into your classroom, don’t hesitate to contact me or any member of the Ed Tech team!